Continuing the ongoing series of interviews with creative artists working on various aspects of movie and TV productions, it is my pleasure to welcome Bill Groom. 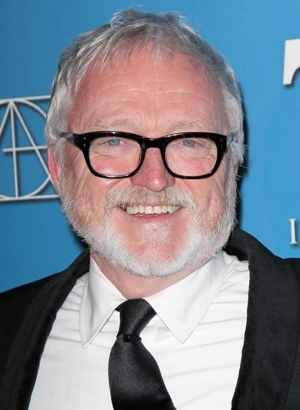 His career in the art department spans four decades, and includes feature films such as “A League of Their Own”, “It Could Happen to You”, “Perfect Stranger”, “Milk” and “Eat Pray Love”. Most recently he worked as the production designer on HBO’s “Boardwalk Empire” that earned him four straight Emmy awards, as well as on the first (and unfortunately the only) season of “Vinyl”. Kirill: Please tell us about yourself and how you started in the industry. Bill: I went to graduate school at Tulane, New Orleans and then after that I taught for four years at the Stony Broke University in New York. When I was at school, I always imagined I would have a career in theater, and a friend of mine once told me that these careers are not linear. I think she was right about that. Some things present themselves along the way, you make choices and that leads to another choice. That is how it evolves. When I was teaching, during the summers I worked with a friend of mine who had friends at Saturday Night Live. When there was a job opening there, she let me know, and I went there for an interview. That what started me on the path to television and movies. Eugene Lee was the designer on SNL at the time, and I assisted him. He also did a few made-for-TV movies for PBS, hiring me as his assistant. He ended up turning one of them over to me, and that’s how I got started. I did several of those for PBS. The first one was “Life on the Mississippi”, and the last one was “Huckleberry Finn”. And I continued working on SNL as I was doing those, because those productions were mostly done during summertime, except for the last one which overlapped. I made a choice there and didn’t go back to SNL. I’ve worked on SNL for four years, and by the end of it I was 28 years old. I’ll be 66 next month, so that tells you how long SNL has been on [laughs]. I could’ve spent my entire career on that one show. But I’ve enjoyed the different things that I’ve done since then. Kirill: And that’s when you moved into the world of feature film, doing art direction and production design. Bill: First I designed several TV shows for PBS, and through a few director contacts that I’ve made I did a couple of network pilots. And at some point I’ve decided that to really quickly move into the feature world, I needed to get to know it a little bit. At the time, all those years ago, it was probably a bit more different from television than it is now. I think that now some of the work in TV is more interesting than some of the work in features. It’s almost 40 years ago that I’ve started in TV. A friend of mine used to say that TV was broadcasting and not narrowcasting. That was 40 years ago, and now it’s pretty much narrowcasting. These shows have much smaller audiences than they did in the day when I was first doing TV. It seems to me that TV is doing a lot more interesting work and taking more chances in some ways than features. There’s a lot of money riding on features, and that has an effect on choices that are made from the production standpoint. Kirill: And some TV shows attract a lot of talent that used to work exclusively in the feature world. Bill: Partly it’s because of the work that is being done in television and what the premium cable networks are choosing to produce. I think that’s what draws the people who expected to have a career in features and weren’t that interested in TV five years ago. I saw that happening. I was offered the job at the “Boardwalk Empire” at the same time as I was being frustrated with the feature project that was on and off for over a year. We would be on for a few months, and we’d be off, and then it would come up again. It was all about trying to make sense of it financially. I was pretty frustrated with it at that point, and they offered me “Boardwalk Empire” that was fifteen minutes from my front door. It was an easy choice [laughs]. I really like the people making the show, and the show itself. I took the job and haven’t done a feature since. Last year I did “Vinyl” and we had hopes for it to go on for a few years. They’ve announced the second season and then cancelled it. I had already moved on from it because Terry Winter left, and a lot of people who I knew and that were working on it left as well. I wanted to take this summer off and take care of some personal things. Unless a really interesting TV project comes along, I’ll probably think about going back into features for a while. I did a project in Canada that ended a month ago. It’s called “When We Rise” and all my old friends from “Milk” – Gus Van Sant and Dustin Lance Black among the rest – are involved with it. It’s a mini-series that will be in ABC in February. It’s about the history of the LGBT movement in San Francisco from about 1971 to 2015. It’s just a great team of people to work with, and I really enjoyed that. When I first started it, they were OK with the idea of me going back to “Vinyl”, but I didn’t have to as it turns out. So I was able to stay with it until it was done. I’m really excited about it and I think we did a great job. It was one of the broadcast networks doing premium cable material, really. It was quite challenging because budgets are a bit lower than they are for HBO, Netflix, Amazon etc. Everybody worked very hard and I think we’ve produced a nice series. Kirill: It feels to me that stories that were once told in mid-budget feature dramas are being told as episodic television these days. Bill: That’s been happening for a while for the mid-level dramatic productions that I always thought would be the projects that I’d be doing when I started out in film. I did one action movie years ago. It actually wasn’t an action movie when we started [laughs], but it kept getting rewritten, and each time it got more action in it. I was offered other action movies after that, and it wasn’t just hand-crafted enough for me. It was too big, and I enjoy being a little more hands on with every department and every part of the art department. It was “Money Train” and it was one art department in Los Angeles and one in New York, and more than a dozen set designers, and set decorators on both coasts. For its day it was a big-budget project. And I didn’t enjoy it as much as some of the more hand-crafted projects. I think you’re right about TV being the place where mid-level interesting dramatic stories have settled. The production that I mentioned being frustrated about struggled because of that. It finally got off the ground – it was “Selma”. I was quite excited about doing it with Lee Daniels when he was directing it. By the time it was made, Lee had moved on to something else. It was the struggle to get it going, and it was about money, about not being able to make it for the number that they wanted to make it for then. I don’t know what the budget ended up being on that project. That’s the struggle with the smaller indie projects. They are really hard to do. It’s a lot of work. You’re working for not quite enough money to pay your bills [laughs]. On some level you’re kind of subsidizing the project, and that works for some people. I did a little movie called “Paper Man” with Jeff Daniels, and I loved the script. But at a certain point in your life when you have certain responsibilities, you can’t do those movies all the time. You can take a moment to do something you really like and not make your standard rate doing that, but you can’t always work for those projects at a certain point in your life. Kirill: Would you say that studios and some people are doing those projects for prestige, especially around the award shows? Bill: I don’t know. The strategy is probably always changing. The whole premium cable segment is interesting to me. It’s interesting to see how they are all trying to figure this out. When I first started at HBO, it was pretty much HBO and everybody else. That was five years ago when Netflix announced that they were going to start producing content. It changes pretty fast. The truth is that I don’t think very much about that part of the business. I’m interested in telling a story through whatever skills are. I found HBO to be very supportive of the artist, and that’s a good place to work. I’m sure it’s changing like everything else is, but I’m pretty much focused on my work and what I need to do. Kirill: Have you seen any major changes in how the technology evolved over these decades that affected what you do on your productions? Bill: That’s a question people often ask. Pretty much everything now has a big digital component. Part of our responsibility is spending the money well and telling the story as well as we can. Sometimes it’s far more expensive to do the digital work than it is to actually build something. It depends on how much screen time is involved, since you’re paying for every shot of digital work, and it can add up pretty quickly. It becomes pretty clear in the process of preparing whether it’s best to do it digitally or as a built element for the sets. I’ll be on a scout, or we’ll be preparing something, and I’ll talk with the VFX coordinator who is going to be taking care of what. It becomes another tool, and it becomes another collaborator to work with. Kirill: I’ve seen a couple of behind-the-scene footage from “Boardwalk Empire”, and it had a lot of digital extensions. Bill: Yes. Although, having said that, on the last season we also built 500 feet of boardwalk that was practical, with buildings that you could go in and out of. If you look at the boardwalk in Atlantic City in the day where you could stand and see for miles in either direction, 500 feet is not very much. For us it’s plenty, and it was very luxurious to have all of that, and we had side streets as well. Then VFX extend what we did, taking a building that was two stories high to become ten stories tall if we wanted. There was a lot of coordination. Leslie Robson-Foster was our VFX coordinator, and she was fantastic. We had a great time working together on all of that. 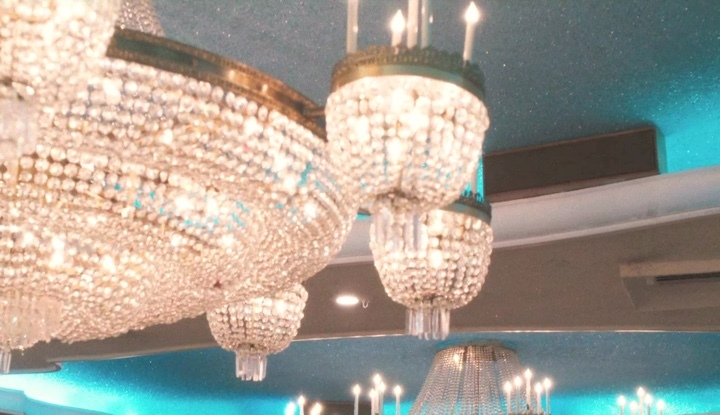 When Nucky moves to this abandoned hotel on the edge of Atlantic City, we built the interiors on stage and one story, and she extended it with four additional stories. But we did the architectural drawings for her, as if she was building it out of brick and wood. She worked from those drawings, just like a builder would. It’s pretty seamless, actually, when you look at it. That’s an example of the process of figuring it all out and deciding who does what. Kirill: Does it matter to you that those parts are not physical, or it’s all about storytelling and how it looks in the final cut? Bill: It’s all about storytelling and however we achieve that. The project in Canada was a normal combination of locations where we did builds. Just because you’re shooting on location doesn’t mean that you’re not doing anything. More often than not you are doing something, and you’re changing things. You’re painting, changing doors and windows, and other things. Occasionally, probably less than 10% of the time on period productions, you find a location that is perfect as it is and you do very little. It’s rare that you do nothing at a location. You’re building at location and you’re building on stage. Sometimes you’re matching both when you build a portion of the set at the location and you build another portion of it on stage. Sometimes you duplicate something that you find at a location on stage. It’s really all about problem solving and telling a story visually. Whatever the tool is, I think, is great. 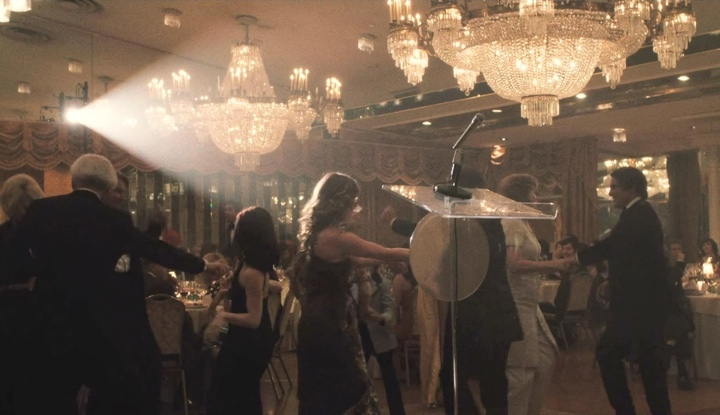 “Boardwalk Empire” was an example where digital effects are presented at the Emmys in the supporting role category, as opposed to a leading role. I believe that “Game of Thrones” is always nominated in the leading role. I haven’t actually visited those sets, but I’m told by some of the directors that I’ve worked with that some of those sets are quite small and that’s there’s quite a lot of set extensions that goes on. Kirill: That goes back to what you said about blurring the lines between television and feature worlds as far as storytelling goes. We have these ever-expanding canvases being explored on TV. Bill: You see that if you compare some of the budgets for an hour of television compared to what they were ten years ago. It’s not only the matter of inflation and cost of materials. It’s also the appetite and what the audience wants to see on TV. Sometimes I wonder how the cable networks can spend that kind of money. Again, I don’t really know what the business model is on that, but the audience is getting a lot for their money these days on cable TV. The audience has grown to expect that and you have to deliver that. Kirill: If you look at the size of the art department on “Boardwalk Empire” and “Vinyl”, how would you compare it to what you had on feature films? Bill: It’s about the same for a mid- to upper-level feature. The big action and fantasy movies will have much bigger art departments. If you look at the budgets of one hour of television and multiply that by two for a feature-length project, the budgets get pretty close too. HBO gave us enough money to do “Boardwalk Empire”. It’s always a struggle, because you’re responsible for your budget. We came in or under budget on every season of that show, and yet had enough money to do what I thought we needed to do. It’s another resource that you have, and you make those choices every day. This is worth doing and this is not worth doing. This will be seen up close and this will be in the deep background. 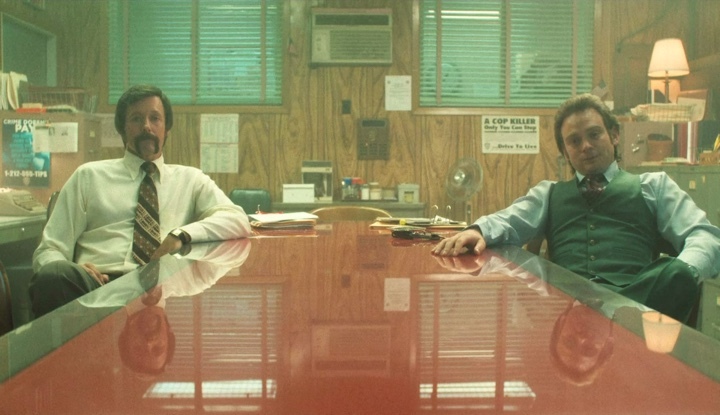 Part of that involves a collaboration with the director and the director of photography. You need to know how it’s going to be shot, where the camera will be, what the depth of field, what kind of lenses they are going to do – and that helps you figure out where to spend the money and where not to. Kirill: How much time did a single season of one of these show take for you? Bill: It was about ten months. “Boardwalk Empire” was twelve episodes each year except the last one that was eight. 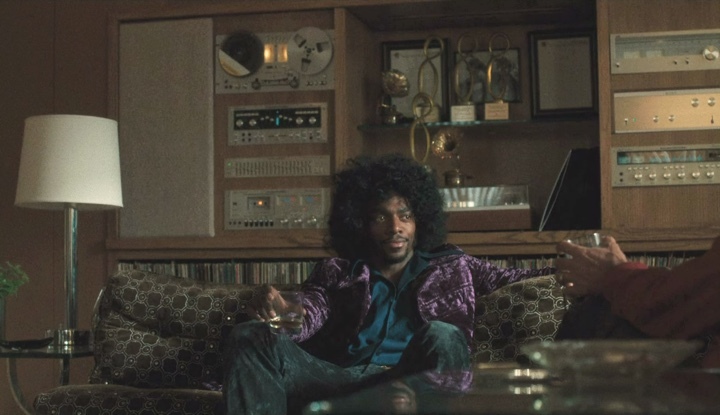 “Vinyl” was nine episodes for me because I did not design the pilot. I started on it in late January 2015, and we finished it in early October. Network TV tends to shoot 7-8 days per hour, but premium cable companies to anywhere between 12 to 18 days, and “Game of Thrones” may be taking more than 20 days per episode sometimes. There are different ways of scheduling that, so that you can make that happen in one season. There’s an overlap that happens, so that two companies might be shooting at once, or have the second company come in and shoot in the same location for future episodes. We did “Boardwalk Empire” in a linear way without too much crossboarding, as they call it. We were generally shooting one episode at a time and moving forward. But not all shows shoot that way. Kirill: “Boardwalk Empire” was four years back-to-back for you. Bill: Yes, it was. Just the other day I was at the office clearing out some of the “Vinyl” stuff, and I found books that we kept as the record of the sets for “Boardwalk Empire”. We had a Chicago book, an Atlantic City book and all the different sets that we’ve done for season 4. You look at them when you’re at a distance from it, and you think to yourself “How did we do that?” especially given the level of detail. I always say to people that you just start. You put your head down and you start working. You try to make the right choices at every step of the way. And you look back at it, and sometimes it’s mind-boggling to see how much work we have accomplished. If you looked at it in the beginning, you’d feel hopeless. We were doing 200-250 period heavily detailed sets for “Boardwalk Empire”, and I won an Emmy every year for that. It was four consecutive awards, and I was told it was the record for the number of consecutive wins by an art director / production designer. Kirill: It was a very impressive production on every level. Bill: Every year we had 12-15 nominations, almost all on the technical end of things – wardrobe, sound, make-up, hair. It was a treat to work on that. Kirill: And then you joined “Vinyl” after it was approved to expand to a full season. Bill: They shot the pilot while we were still doing “Boardwalk Empire”. I got a call from Terry Winter early in the fall of 2014, before they started writing it. It’s period, but it’s a different period. There are a lot of similarities, but there are big differences too. Kirill: And for you it might not have been true period because you were already an adult at the time the events take place. Bill: That’s a good point, and I’ve made it a couple of times. I was one of the few people who were actually adults at that time [laughs]. It was before I started on SNL, and I was still in college at that time. There was a holdover from the ’70s. I was at “Studio 54” once while it was still that thing. I wasn’t a big partygoer back then, but I certainly saw a lot of people partying. I said it to somebody already that having not done cocaine during that time, I probably have a clearer memory of what it actually looked like and the people who were doing it. Kirill: How did it feel to recreate those years? Bill: The early ’70s was just a few years from the Woodstock Festival, and it was interesting to go back and look at how it evolved. It wasn’t a pretty period. It was messy. My agent called me after she saw a few episodes, and she thought it was kind of amazing. She said that it was true to those velvet sewers, as she called them [laughs]. It was a very ragged period. That’s one of the things that is a loss in not doing a second and a third season – it’s watching that decade expand. It was very different by the end of the ’70s than it was at the beginning of it. Kirill: This is what I liked about “Boardwalk Empire”, how it evolved with the changes in politics and society over that decade. Bill: Yes, it was a bit over a decade. In that way, the ’70s had a real similarity to the ’20s. You could argue that you were still in the “no rules” period of culture. There was a period of old rules, followed by no rules, followed by new rules. I don’t know what the history will say about the 20th century, but you can look at individual decades. After World War I, the 1920’s turned into a decade of no rules. Women were drinking and smoking in public, the youth movement was happening, and it was sort of “anything goes” motto. And the same things was happening in the ’70s, after the turning point of the late ’60s. 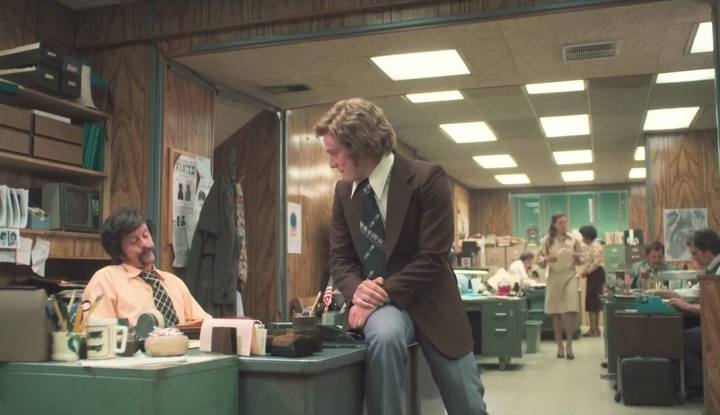 The ’70s was also a kind of “no rules” decade. If you look at any photograph of a gallery opening or any art event, there’s at least one or two people with no clothes on at those events. It was a very fertile period for arts. That’s probably true of music as well. 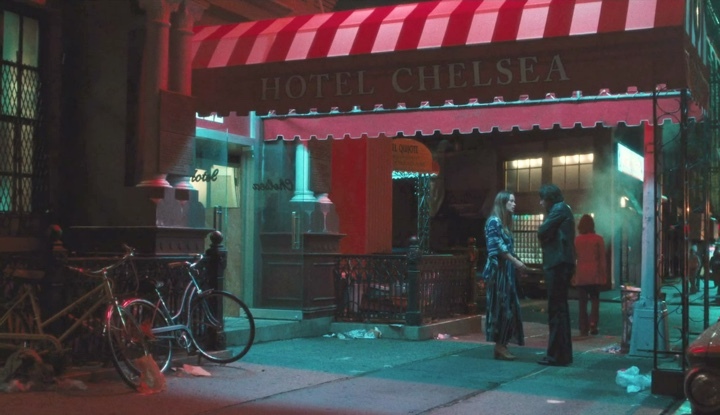 It was fun to explore the Chelsea Hotel and recreate that. We were able to actually shoot in one of the three rooms in Chelsea Hotel that had not yet been renovated. And we recreated that on stage for reasons that were more logistical than anything else. 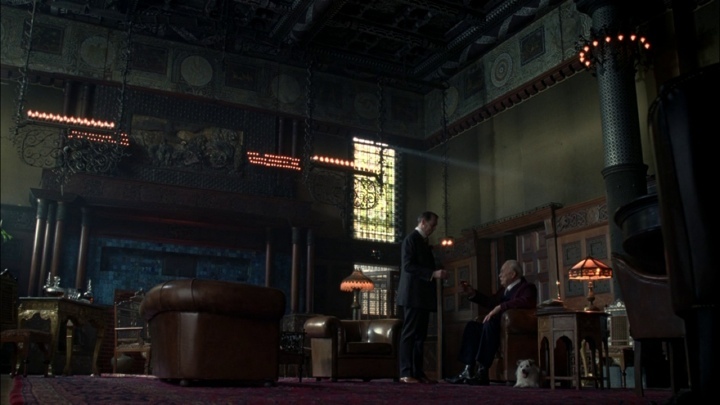 But we shot in one of the original apartments and then duplicated it on stage for another scene, because it was too difficult to go back there. It was great being at the Chelsea Hotel, and some of those people are still there, and are refusing to leave during this big renovation of the place. I suspect the place had to be renovated. From what I could see, it looked like they were doing a pretty nice job of preserving the character of the place while rewiring the plumbing and other things which it needed. 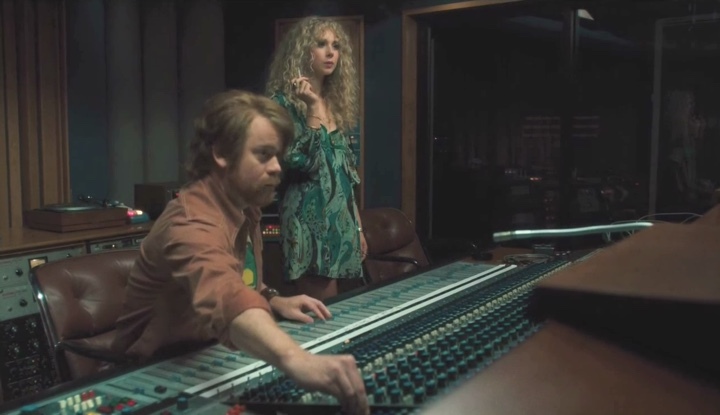 It’s really a remarkable place, and we got to do that in “Vinyl”. 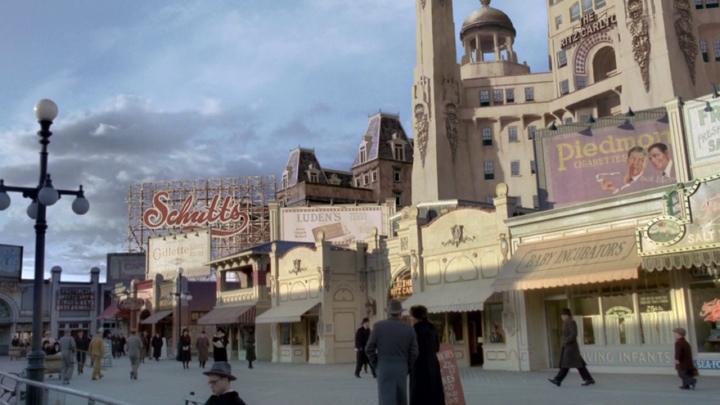 There were several iconic places that we were able to recreate in the show. Kirill: Some of those you inherited from the pilot, and others were designed and built for later episodes. Bill: That’s one of the things that is considered for the awards. When you didn’t do the pilot, you have to be very specific about what elements are yours and what aren’t. You’re judged on that and not on the other stuff. It’s like taking an SAT, filling out forms [laughs] and listing when your scene starts and when they end. They are very careful about not evaluating people based on somebody else’s work. When you inherit a project, you have to be sympathetic to it. If you see it evolving in a different way, it has to be organic. It has to make sense. 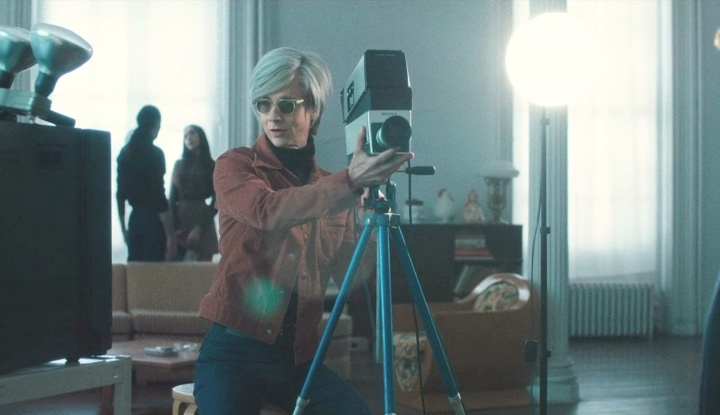 What attracts me about the ’70s are all the photographs of Robert Mapplethorpe and Patti Smith at the Chelsea, and Deborah Harry at the Chelsea, and all these people in these apartments. You look at the photographs of Yoko Ono and John Lennon in their living spaces, and you see that they were living outside their homes. Their homes were not showplaces. They were not trophies. 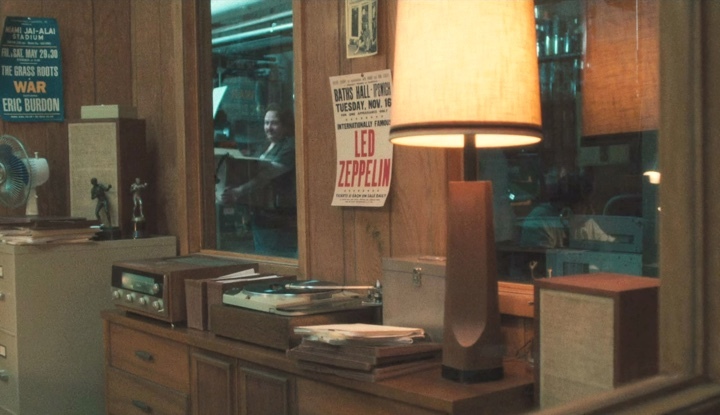 There’s a picture of Deborah Harry in her bed, and it looks like a room of a 13-year old. There are no sheets on the bed, and all of her clothes are strewn all over the floor. They were living in their music. The home was just a place to crash. You see that in Mapplethorpe’s photography of Patti Smith’s apartment. They were living somewhere else. They were living in their heads. I thought that mess was really interesting. So my point of view might have been a little bit messier than the pilot. But whatever it is, it has to be organic to the writing, and you have to be respectful of what was done before. Kirill: If we’re talking about the set of the record label offices, was it one continuous set? Bill: It is. 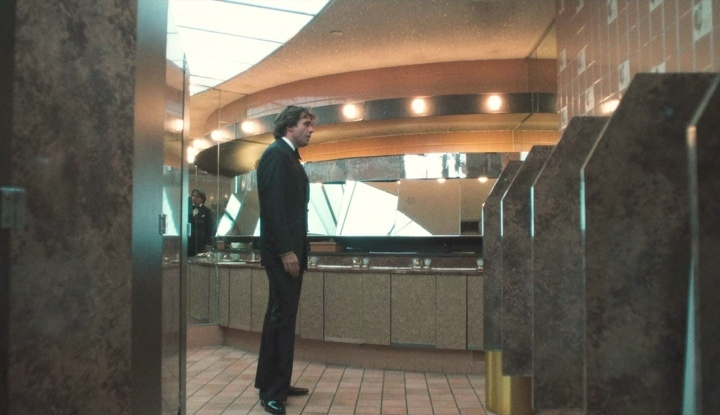 What was designed for the pilot was about half of what ends up in the future episodes. When I came in, I had to expand the set to add more offices, a break room, a mail room, a hallway, an airshaft etc. All those things were new, but they had to be tied into what was already built. We were prepared to expand it even more in season 2, and I was trying to figure out how to do that. We had a limited amount of space, and in that case we might have had to duplicate the hallway to do a cut in between the two sets. These are technical things that you figure out along the way. It’s not all about what it looks like, but also about the technical solutions of how you convey that to the audience. Sometimes you are limited by the space requirements, and that’s a big thing in New York right now – having enough stage space to do sets the way you want to do them. New York is very busy right now. Vancouver was the same when I was up there. One of the biggest problems was finding a stage. There are different ways of solving that. You can shoot a set, then break it down and then bring it back. Everything has a cost attached to it, and I’d rather not spend the money doing that. It’s rather a cliche saying that, because it all goes on the screen, whatever you do to tell the story. But there are different solutions, and part of your job is to figure it out. There was a solution that has us shooting on a stage 20-30 minutes away from Steiner Studios so that some of what we were shooting would have been done at Steiner, and some would have been done away. Figuring out how to make it work on the daily basis is part of the puzzle. I lobbied to not do that stage at all, and what we ended up doing was making certain compromises at the Steiner Studios in order to not commit to another set of stages that were too far away from where we were based. Kirill: Another recurring set was the bar mitzvah party space. Was that an existing location? Bill: That’s an amazing place. It’s called Astoria World Manor in Queens, and it’s a catering hall that hasn’t been touched since the ’70s [laughs]. We didn’t do very much there. We built stages, but it was one of those locations you walk into and you say “We’ve got to shoot every room in this place”. Kirill: Was there anything special done for the flashback sequences, or were they sufficiently close to the main timeline? Bill: Most of those were created on stage. We created The Factory which was Andy Warhol’s club in a church hall out in Bushwick. We were catching up on when they were younger during the first half of the season. Kirill: There’s a lot of equipment in the show – cameras, TV sets, recording equipment, turntables. Was it hard to get hold of all that? Bill: There are people who collect it. You can’t even go into a second-hand store these days and find a computer. There’s no second-hand market for most of the electronic equipment or televisions. On “Boardwalk Empire” we got one of the first televisions for episode 8 of the final season. It came from a collector somewhere in the Midwest. We don’t just shop in the neighborhood or just in the New York City. Whatever we need done, we get it from wherever we find it. But it’s getting harder and harder to find. Kirill: And when you can’t find something, do you end up recreating the outer shell of it? Bill: I don’t think we had to do that. We were shooting at the recording studio on 8th street in Manhattan. 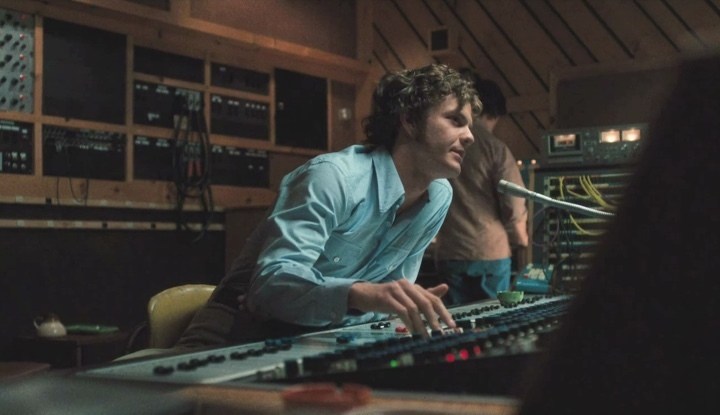 A lot of that equipment is original to the ’70s. There were certain modern additions that we covered and hid, but a lot of it was still the same. That’s part of what the prop department does. In some cases there’s an overlap between that and set decoration. You need to decide who does what. There are many meetings that precede going into production on these things. That’s communication, and checking and rechecking everything. The worst thing is that you get to the set, and somebody thought that somebody else was doing it. That doesn’t happen very often, because we’re pretty thorough about who’s doing what. “Boardwalk Empire” had more things that were manufactured. We had grocery bags, and paper bags, and envelopes that were manufactured for us. That was just part of the process to make those things that don’t exist anymore. There are certain things that were surprisingly around in the 1920s that we have today and that you would assume weren’t around – like pushpins. That’s another thing that you have to be careful about. You don’t want to introduce things that seem wrong, even though they might not be. I think that anything that takes the audience out of the scene is worth considering. If there was a scene about pushpins where somebody opens a box full of them, then you would do it. But if you’re just doing it as set decoration and it seems distracting, I would usually choose not to do it. You want to stay focused on the story. I’ve done a few period productions starting right after SNL. I remember one of the scripts based on Mark Twain’s work, and one line was something like “I’m standing here in misery and blue jeans”, and everybody questioned the blue jeans. But it was a line that Twain wrote. The producer may have decided not to use it in the show, because people couldn’t believe that blue jeans would be a term in the mid-1800s. I found a little plaque that had been in an hotel, placed near a light switch. I used it, even though you don’t see it in the show; sometimes you do it just for the actors. It said “This is a switch to turn on the electric lights. Do not be alarmed. This is not harmful, it’s not dangerous”. It was teaching people how to use a light switch on a wall, and explaining that it was not dangerous. I put it in Nucky’s hotel room. It’s the funny thing with new technology, like electricity in the 1920s. 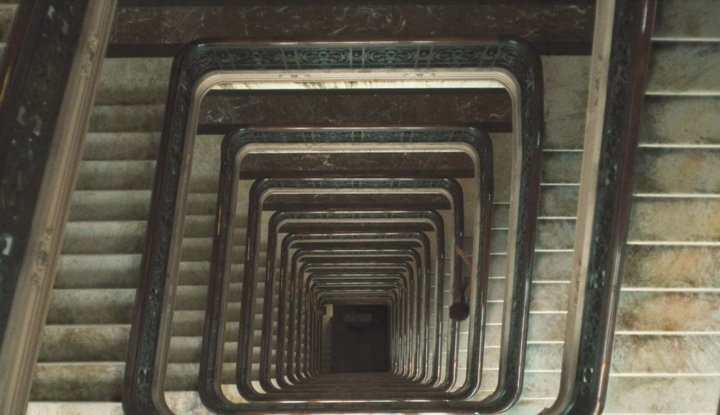 I think you can recognize this with computers and televisions. There’s so much more technology that is in place at the beginning of a new technology. Things just fall by the wayside as the good idea takes hold and that’s what people go for, and the bad idea gets discarded. When you look at early electrical switches, there was a million crazy devices. We had a light switch that one of our set decorators had found online for sale. It was an ancient switch for an overhead hanging light. It had two chains, running around the socket. When you pulled it in one direction, it unscrewed the light bulb and turned it off. And when you pulled the other chain down, it screwed the light bulb in and turned it on. There’s a ton of stuff like that, that just goes by the wayside. The assumption that we have so much more today is not always the case. We had razor blade sharpener in our office with a leather strap around. You put a razor blade inside that device, and you crank it, and it automatically flips the blade over to the other side. And this wasn’t straight razor. It was a little single-edge razor blade that went into a razor. So you didn’t throw it away; you sharpened it. I don’t think you’d be able to find that anywhere today. That was very interesting for me on “Boardwalk Empire”. I spent most of my time on my first season on that show just researching the period. And at some point you start to understand the frame of mind at the time, and what was happening in technology and industry. You start to be able to identify the period in something just by the thinking behind it. Somebody would occasionally ask “Is this period?” and I would give an answer, and then when they’d check it, I was fortunately always right. That comes from really studying the period and what the thinking behind everything was. Kirill: So you’ve worked on four back-to-back seasons of “Boardwalk Empire”, and then on “Vinyl”. You’re there on the sets for so long that it becomes not only part of your life, but perhaps part of you as well? Bill: I think you wouldn’t enjoy it if you were nervous about it. I remember years ago after “Amadeus” came out, someone asked Patrizia von Brandenstein [production designer] in an interview how she controlled something as big as that. She said “You just make sure that every detail is absolutely perfect”. That’s what makes you tired as you’re working on these productions. It’s the focus on every detail – the shape of the baseboard around the room, the weave of the carpet, the height of the electrical outlets, the style of wiring. 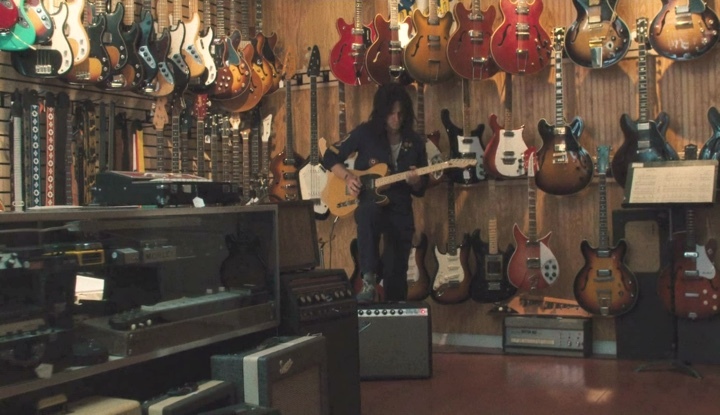 This is one room and one set, and you’re looking at all the things. You’re constantly taking notes on how things are done. I’m looking out my window at my neighbor’s house right now. They were very careful to pick this brick that had a certain glaze on it, and then the bricklayers started pressure-washing it, and it knocked the glaze off some of it. Some of it is one color and some of it is another, and the building is only three months old. That’s the kind of detail that makes something look real. Most designers create things and pay attention to detail. Why is there a patch on the floor? Why is this wood different from that wood? Well, because there was a leak at the radiator, and it got rotten, and they had to pull it out and replace it. They replaced it with a piece of wood that wasn’t quite the same as what was there, so they pieced it in and put nails in it. That’s the kind of detail that you go to to give things a reality. 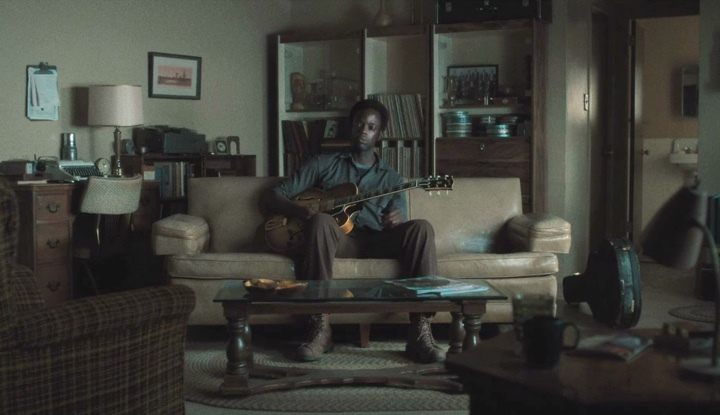 I was just working on “When We Rise” with Michael Kenneth Williams who was Chalky White on “Boardwalk Empire”. I met up with him in Vancouver and we were talking to the real-life character Ken Jones that he’s playing in the series. He told Ken how working on my sets supported his acting. It’s to have that detail everywhere so that he was in a real space, feeling the reality of it. I think a lot of designers who have had careers in features have that attention to detail. I learned from one of the greatest designers, Paul Sylbert. It goes to the point of screws and hinges. If you have a door that was supposedly in 1920s, you use a slotted screw. Or, and this is what we started doing on “Boardwalk Empire” because slotted screws were too time-consuming for our schedule, our standby painter had a kit of putty of different colors, and he would fill the modern-day Phillips screws with it. If the camera caught an open door and a hinge behind the actor’s head, your eye didn’t go to that. And I think that level of detail pays off. It’s every inch of the set. Occasionally there will be a problem with construction or the materials that shifted a little bit, or you’ll have a seam in the wall that you don’t want to see, but they are still there because the breaks in the wall let you move the camera. These days I can go to the VFX supervisor and ask them to fix something specific in a certain room in a certain scene. You’re looking at things after the fact as well, and watching dailies to see what you missed. If you’re good at what you do, you don’t miss much. The detail goes down to the smallest screw head. People will think that’s crazy, but it’s really not. That’s the one thing that could take somebody right out of the moment. The difference between “Vinyl” and “Boardwalk Empire” is that there is nobody around living that really remembers what anything looked like in the 1920s, except what remains. With “Vinyl” there are plenty of people who would pick up on the wrong telephone, or the wrong microphone at the club. 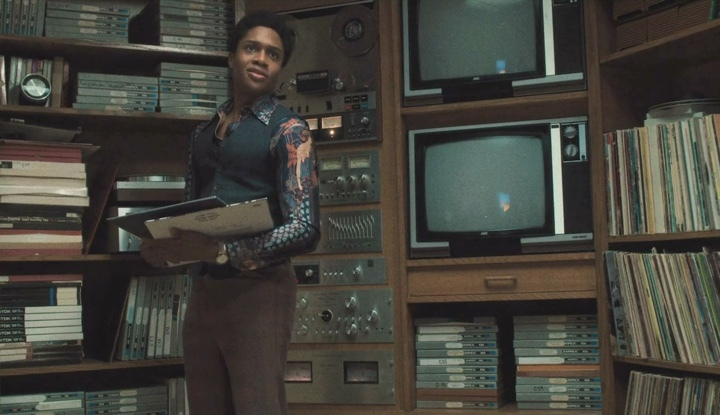 There are a lot more people paying close attention to something that is set in the ’70s. Kirill: Would you say that in a certain way “Boardwalk Empire” documents that era and becomes what people expect of it? Bill: Somebody told me that their son’s history teacher was using “Boardwalk Empire” to show them about the 1920s and prohibition. I would go looking for research on something, particularly about Atlantic City, and the first thing that would come up would be Steve Buscemi and his wardrobe [laughs]. I had to get past that to find the real research. It probably does have some effect, and in that way we have responsibility to get it right. Everybody on “Boardwalk Empire” wanted every detail to be perfectly correct. As the designer, that’s the kind of support you need to do the work that you need to do. Kirill: You’ve been in the industry for over 40 years. What keeps you going despite long hours and being away from family and friends for long stretches of time? Bill: I love the work. When I worked on “When We Rise”, it was seven days a week almost every week that I was in Vancouver. The hours are long, but I love being on the set. I had to be on the set quite a lot because we were opening four or five sets a day. They were relatively short scenes, and an epic story that spanned from 1971 to 2015. Little of what I created for 1971 would work for the next episode. We were moving forward in time, so the telephone that was right for episode 1 was not necessarily the telephone that you would need for episode 2 – just as an example of something that an actor holds in his hand and you’re paying close attention to. We were constantly moving forward, and it required tremendous amount of work. I love the work. It may all be downhill from today [laughs], but I’m happy that my first Emmy was at age 60, and my last was for work that I did at age 64. I’m more energized by the work than I’ve ever been. I’m happy to be an up-and-comer at 65 years old. I don’t know how long I’ll keep doing it, but I certainly don’t see that time in front of me. I’m looking forward to the next project. You spend time away from home indeed, and this is what I’m trying to do this summer. I’m trying to catch up on stuff that got neglected while I was away. There’s a big range in TV. There’s little as interesting as “Boardwalk Empire”. Without sounding arrogant, the next television show I do has to be special. That’s where you get to do the kind of work that you like to do. There’s a lot of TV where each episode is not as exciting. It gets established at the beginning, and it’s pretty much on automatic for a while. That wasn’t “Vinyl” and that wasn’t “Boardwalk Empire”. And those were the only two episodic TV shows that I’ve done since SNL. I have my reservations about working on television, but the minute I started working on “Boardwalk Empire”, it was really one of the most interesting projects that I’ve ever done. And here I’d like to thank Bill Groom for taking the time out of his busy schedule to talk about building the wonderful worlds of “Vinyl” and “The Boardwalk Empire”. If you want to know more about how films and TV shows are made, click here for additional in-depth interviews in this series.